← Hand or Machine Applique? The Straight Stitch – Which Sewing Machine Should I Buy? Please help! Sewing machines…I keep thinking about buying one. Any suggestions on a good beginner one? It’s hard to know where to start! I know just the machine you want – the Bernette by Bernina. Check out www.mybernette.com for a full list of the machines in this line (and just for the record, I am not affiliated with Bernina in any way). For my first machine, I had the Bernette 55 – a very basic machine that had 15 or so stitches, a buttonholer, and the basic feet and accessories. I knew my Bernette was made of sturdy stuff when I was able to sew through 4 layers of fabric + 4 layers of interfacing + cotton webbing when I made my first Professional Tote! The Bernette is not made in Switzerland (I think it is manufactured in China), but Bernina selected it for their beginner’s line since it meets their quality standards. The differences between the models comes down to how many stitch choices you have, how the buttonhole function works (automatic or manual), and if everything is computerized or manual (such as changing the stitch length, needle position, etc). The more expensive ones might have a few more features such as being able to drop the feeddogs (only important if you are going to do free motion quilting). They range in price from $249 – $799. Many times you can even find a special deal for the basic machine for $199. I definitely feel it is better to spend about $250 on a Bernette instead of buying something at a large retail chain store. In my experience, the machines at these stores are not as sturdy, powerful, or smooth as the Bernette. The one thing about Bernette is that you have to buy one at an authorized Bernina dealer. You can check on their website to find a dealer near you. The nice thing about this is that the dealer will teach you the basics of using the machine (ie, how to thread it, wind the bobbin, change stitches, and use the buttonhole). 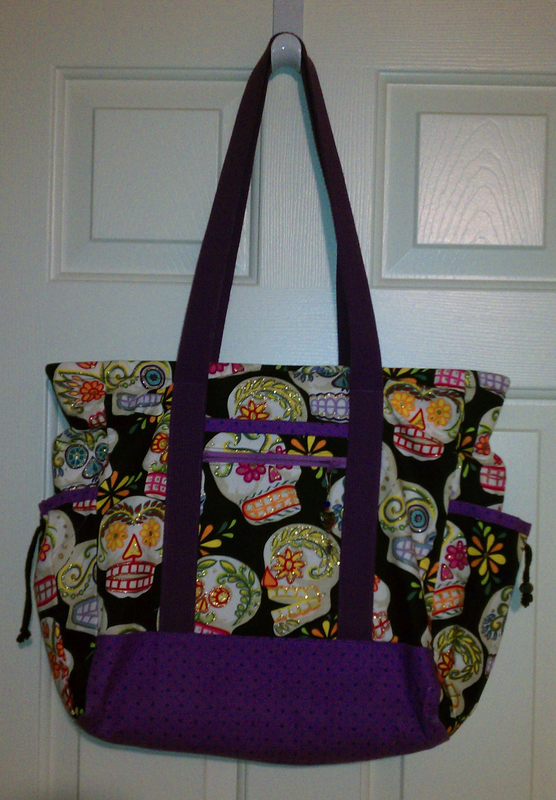 My Bernette is a work horse and I love sewing on it. I use this machine for my classes since it more portable than my “fancy” machine. It’s also good for children and I plan to let my son use it when he wants to learn how to use the machine :). This entry was posted in Purses and Totes, Sewing, Straight Stitch, Tools. Bookmark the permalink. You have enticed me and if I move from a needle and thread, I will check out the Bernette. Let me know when you want to go shopping! Since we have already established that I can hand aplique and do a good job at that I think I may have bought a few years yet to spend on the golf course.